"The living haunt the dead . . ." These sixteen genre-bending stories are set against a backdrop of sudden violence and profound regret, populated by characters whose circumstances and longings drive them to the point of no return . . . and sometimes even further. A young girl takes a journey to see what is really hidden within the belly of an ancient water tower. A high school senior learns about defiance on a school bus and witnesses a tragedy that he won't soon forget. Six survivors in an underground bunker discuss the possibility of Armageddon being an elaborate hoax. Two brothers take a walk on the dark side of the wheat field and discover that some bonds are stronger than death. And in the title story, a former train conductor must confront the ghosts of his past while learning that it's not the dead who haunt the living, but the other way around. Traversing the back roads of the south and beyond, these stories probe the boundaries of imagination, taking the reader to the fringes of a society where the world looks different, and once you visit, you won't ever be the same. 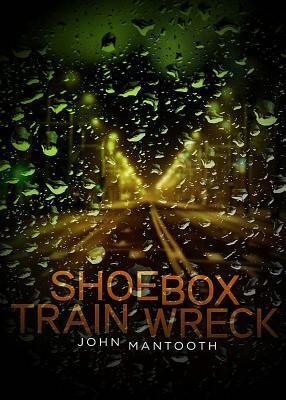 John Mantooth is an award-winning author whose short stories have been recognized in numerous year's best anthologies. His short fiction has been published in Fantasy Magazine, Crime Factory, Thuglit, and the Bram Stoker Award-winning anthology, Haunted Legends (Tor, 2010), among others.